We talk to Robin Clark about life on BA Fine Art at Chelsea, the lead up to and her work in the summer show as well as her plans for the future. Please tell us about your work in the summer show. 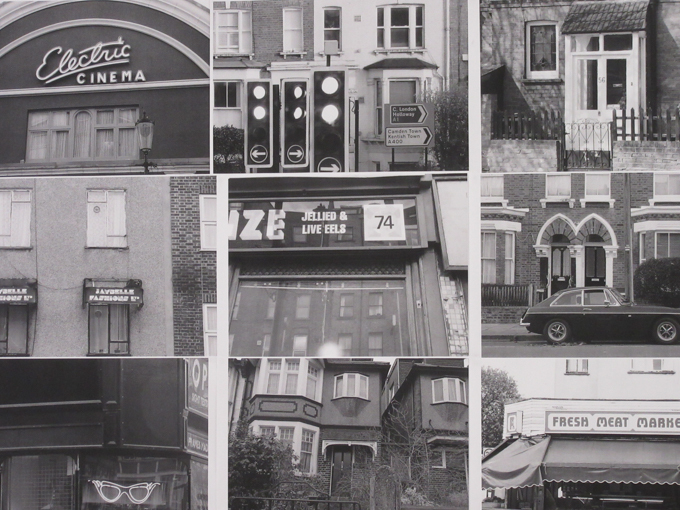 I am working on an installation involving photographs I have taken of anachronisms and timeless scenery spotted when going for walks around London’s various residential areas, both inner city and suburbia. My work always has a strong visual focus so I experimented with various finishes and colours of paper and card, and different methods of display that can really help bring the work to life. Narrowing down which works to display. I decided to use images I’ve taken between last autumn and now and it was quite a challenging process to whittle down hundreds of images to around 30. However, I felt I learned more about my own judgement…why some photos are better than others, through this process, so it was quite enriching in a strange kind of way. From then I spent a while deciding which images to print in which colours, so there was yet another process of elimination involved. Fortunately I have been working as an invigilator in an established London gallery since being in my first year of study, and very recently I’ve managed to get a similar job in a museum here, which I’m aware puts me in a good position for post-graduation prospects. Many of my colleagues are arts graduates so working alongside them can provide you with good advice and even collaborative opportunities, plus the gallery environment definitely gives you a “behind the scenes” insight into how exhibitions are run and managed. I intend to continue my creative pursuits alongside my jobs. There’s definitely a certain freedom in not being tied down to a particular medium. If anything, you’re encouraged to move among media to find what suits your ideas best. Meeting a variety of people with very different interests within fine art and the wider world can spark off unexpected ideas and interesting conversations. The opportunity to exhibit work outside of the college begins in year one and is great experience not just for the degree show but for any future shows and for collaborative work in general. The central location of Chelsea at Millbank definitely has its benefits as it’s easy to get to, and to get anywhere from. Being just opposite Tate Britain is helpful for research, and we’ve had tutor group sessions there in the past. It also means we get a lot of the public passing through the Parade Ground square at Chelsea and taking an interest in what’s going on here. Being right by the river is particularly nice, as are the various public gardens nearby. It’s a central location but not fully in the throng of the city, so it’s fairly peaceful. Be open to trying new things, because you’ll certainly be encouraged that way anyway. There’s lots of good workshop facilities mostly in 3D, as well as digital. Find the thing that fascinates you and just run with it. Be prepared to be able to self-motivate and work independently as this is how the structure of the course is. And the obvious one is just to enjoy yourself, really. Read more about BA Fine Art at Chelsea. Visit Chelsea Undergraduate Summer Show which runs until this Saturday 24 June. Follow Robin Clark on Instagram.